The result from Thursday’s referendum could see June 23 go down as a day to never forget as Britain voted to leave the European Union. 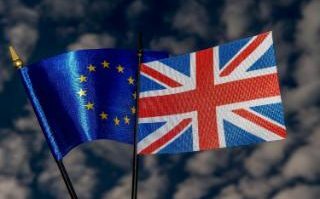 Britain voted to leave the European Union, with the Leave campaign securing around 51.8 per cent of the vote. While England voted overwhelmingly for Brexit, Scotland and Northern Ireland backed Remain. Statements are expected to be made by Sinn Fein and the SNP later today calling for a breakaway from the Union. London backed Remain but the turnout was lower than expected because of bad weather. Thursday’s vote created the biggest global financial shock ever since the 2008 economic crisis, this time with interest rates around the world already at or near zero. Although the vote will initiate at least two years of divorce proceedings with the EU, it cast doubt on London’s future as a global financial capital. The future of Prime Minister David Cameron has also been called to question as he gambled the fate of the nation. World financial markets plunged as complete results showed a near 52-48% split for leaving as the pound suffered its biggest one-day fall in history, plunging more than 10% against the dollar to hit levels last seen in 1985. The United Kingdom itself now faces a threat to its survival, as Scotland voted 62% in favor of staying in the EU and is likely to press for a new referendum on whether to become independent after its 2014 vote to stay in the UK. “We’re in uncharted territory,” an aide working in Cameron’s office told reporters. But according to the bank of England, all necessary steps to secure monetary and financial stability would be taken.